Last month I started a series of weekly giveaways to celebrate the coming of the fall season back in my home of Wisconsin, USA. Today marks the fourth and last giveaway of the season. I’ll be back with more giveaways another time, though! Today I am giving away a quilling shapes board! 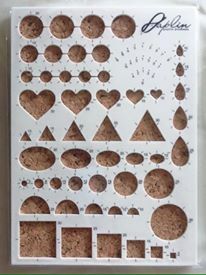 With this fun board you can make evenly sized circles as well as squares, triangles, hearts, ovals, and teardrops! I am in the middle of doing a full review of this board with tips on how to most successfully use it. In the meantime, I have an extra, so one lucky reader will get this for their very own! One way to get an entry is to leave a comment on this blog post answering a question. The question of the week is: What type of posts would you like to see more of here on Honey’s Quilling in the next few months? More tutorials? More sealant and topcoat reviews? More roundups? Features of other artists? Others? The giveaway runs through October 23rd and the winners will be announced within a few days after that (I will announce on facebook and also email the winners). There are many ways to enter, so have fun! Don’t go anywhere, there is lots to see here on the blog! I would like to see more of quilled jewellery videos. I would like to see more tutorials, especially on techniques. Thank you! I would like to see tutorials of portrait and how to use sealant on jewellery?.. I would like to see tutorials and techniques on Graphics quilling. I enjoy ur tutorials and have learnt quilling. Explaining step by step with pics u make me do it! That’s awesome! I would ofcourse love to see more n more awesome quilling tutorials from u! I would like to see more tutorials on quilled jewelry please. I am new to quilting so I am interested in learning how to use the tools better and the methods for making jewelry. 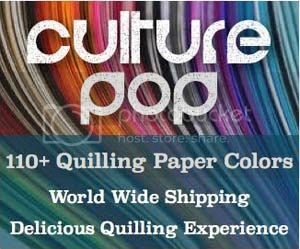 I am new to quilling so I am interested in learning how to use the tools better and the methods for making jewelry. I love all your posts! Please keep the tutorials coming, they’re awesome!! i would like to see more tutorials on quilled earrings and how to make them more durable. 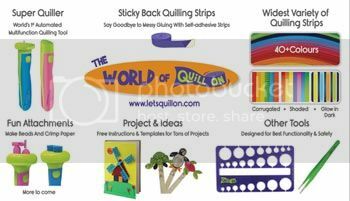 Wow, that quilling shapes board is great. If I don’t win, will you share the place to buy one? Your tutorials are all great, so keep them coming. I’d love to enjoy more of your adorable free tutorials! Would love to see new techniques in quilling. BTW love ur tutorials n reviews. Keep up the good work. I would love to see more topcoat hints and tips for fragile items such as snowflakes. There are so many products out there, it’s hard to know which to purchase. And some are rather expensive. I love your work—and especially love that you take time to share your knowledge with beginners and experts alike. The tutorials are great. I would like to know more about techniques for preserving the projects as some are very delicate and would not survive regular glazing methods.